Last week, I introduced the semi-documented uitree function that enables displaying data in a hierarchical (tree) control in Matlab GUI. Today, I will continue by describing how uitrees can be customized. Note that although uitrees use Java objects internally, we can create and customize uitree using pure-Matlab code. In this method, also called “lazy loading”, we only create child nodes as a reaction to their parent node’s expansion. This is the method given in uitree‘s semi-documented help section. The tree will initially display only the root node, and additional tree-nodes will be created as needed when the root or any of its child nodes is expanded. As an example customization that uses jtree, consider one of my earliest articles on this website: Adding a context-menu to a uitree. Interested readers might also benefit from looking at the tree manipulations that I have programmed in my FindJObj utility. Next week’s article will conclude my uitree mini-series by describing how specific tree nodes can be customized. If you have any special customization request, please post a comment below. Thanks for your uitree series. As far as customization goes I’d be interested in creating components for nodes (button, combo box, and maybe even a editable text field). Anyway, regarding uitree customizations, it would be interesting to see how to manage the drag behavior outside the uitree panel. Let’s say we don’t care about drop position, but we want to drag a file tree selection (for example) to another panel. The effect might be to import data files into a plot or something like that. Is there a way in MATLAB to differentiate tree nodes in unique colors ?. I mean first node in red, second in blue, third in green and so on. @Prasath – use HTML for your node labels. More on this in next week’s post. thank you very much for your numerous explanations around the uitree functionality in Matlab. 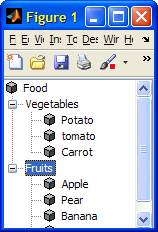 Without this I had never managed to make a GUI with working tree menu. But I have still one open question: Is it possible to get and set the expansion structure of the tree menu? 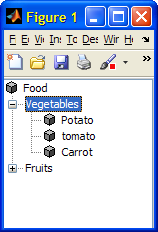 If a add menu items on the fly by user input and reload the tree menu, all nodes are collapsed. I am searching for a way to expand – after a reload – exactly the items which were expanded before. Do you know a method to realize this? @Chris – collapsing/expansion are tree capabilities, not node capabilities. After all, hierarchy nodes can be presented in several different formats (other than a tree) that do not necessarily involve collapsing/expansion. The tree object (jtree = mtree.getTree) has the isCollapsed(nodeNumber) / isExpanded(nodeNumber)methods that you can use to query the state, and corresponding collapseRow(nodeNumber) / expandRow(nodeNumber) methods for setting the state. There are also similar methods for querying/setting the state of a given hierarchy path. I ready need to know about drag and drop in matlab uitree,I have a treeview with 2 chil node in level 1.one of them will show data file names,and the second have some nodes that will define plot types, I want to drag the data name and drop it to plot types,I really need to know more about it. @Rahill – yes this is possible, but it is not easy. It is certainly not something that I can explain in a blog comment. I plan to write about DND in a series of articles sometime in early 2012. In the meantime, if you would like my consulting assistance, please contact me by email (use the link at the top right of any page on the website). I’m using a tree control and a list box in conjunction with each other. Between the two are left/right arrow buttons, so items from the tree may be move to the list and vice versa. I’ve been trying to find some easy mechanism to track items to hide/show or add/remove, such as keeping track of which items in the tree control have been selected for the list box and then forcing node expansion to refresh the children shown. The expand callback doesn’t seem to be triggering beyond the first expansion done. What I’m currently doing is removing all nodes with a particular parent (category, basically) and then reloading the children from the data model. I tried doing a sort of insert to just put the item back roughly where it was removed, but I can’t seem to find the proper syntax to insert a node at a particular position in the list of children. So, is there a way to force the expand callback function to refresh the child nodes? Is there an efficient way to insert a child at a particular position? How to use the swingx treetable in matlab. @Ninad – this is outside the scope of a simple blog comment. In general, you need to get your relevant Java classes (table model, cell renderers/editors) into the Java classpath, then instantiate the JXTreeTable object in Matlab and call its various methods to configure it, and finally display it onscreen using the javacomponent function. There are several online resources with examples showing how to create the Java classes (example). 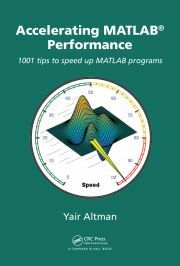 As an alternative to JXTreeTable, consider using JIDE’s TreeTable, which is already included in Matlab. If you need personal assistance with setting any of these, please email me for a consulting proposal. I’m trying to integrate a uitree into a GUI with a black background. I can set the tree’s background color as required, but it doesn’t quite achieve what I hoped – the names of each node retain a white border. Anyone have any suggestions please? @Graham – try setting a custom CellRenderer. It’s not very difficult once you get the concept. It’s the same idea as in uitables: example1, example2. Hurrumph – the code above is not properly displayed; I am using html inside the nodess description strings to set the bgcolor to black, and the font color to be white. But this is being stripped out by this webpage. Thanks on both counts! I’ll have a go at using a custom CellRenderer as you suggest. I tried this example, but I can only see the root(Food). what is the problem? @yh – did you try to expand (double-click) the root node? As far as I understand, each uitree comes with its own panel. Is it possible two uitree’s to share a common panel? Fir example, add ‘Drinks’ to the same level as ‘Food’? There is also a corresponding ShowsRootHandles property. This is all explained in p. 179 of my book. Hello, how to i add another level of nodes, so for example add below Apple, ‘Granny Smith’,’Sweet’,’Cooking’ etc? @Pezz – simply keep the Apple uitreenode’s handle in some variable, and then use the add() method, just like I did to add Apple to the Fruits node. Yep okay perfect. Thanks for your speedy reply. I wasn’t keeping the handle. Quick question: , , false), what do these statements mean at the end of the .add method? Is there a way of displaying the ‘value’ of leaf (a vector, a scalar, a string, etc) to the right of the ‘name’ of the leaf in the uitree gui? @Ben – simply update the lean name (label) to include all the information that you need. You can use HTML formatting if you wish. Thanks – Do you mean just put all the info as a string into the ‘name’ field? If I used HTML formatting will that allow me to format the ‘name’ and the ‘value’ data differently? are there any examples out there? In the above figure example,can we get a check box against potato,tomato, carrot for vegetables and apples,pear, banana… in fruits? If so can anyone suggest me what code should I add to the above existing code to get it? I don’t think there is a simple answer. If you wish me to investigate this (for a consulting fee) then send me an email. What I am trying is similar to what we see in computers. Eg when we go inside a folder and select a file, the line below the menu bar shows the file/folder location. Can I do it the same for the above and display its output in the command window? I am using the uitree inside a MATLAB GUI. Basically I want to browse in .mat-files (simulation results). Until now I am able generate a uitree, but I am not able to delete it and load another .mat-file. Can you help me how it is possible to use uitrees for different .mat-files? @Sebastian – did you try to simple create a new uitreenode for the new file and then set the tree’s Root property to this new node? @Yair: Thank you very much for your answer! % --- Executes on button press in open_pb. Have you got an idea what is my principal problem? I am using uitree in a MATLAB-GUI, too. Can you give me an explanation, how it is possible to modify the content of “handles” in the ExpandFcn of uitree. I always have the problem, that the changings are visible when I am in the function call – afterwards they are deleted. Is there a possibility to make changes outside the original GUIDE-Callbacks? Reza (13 days 15 hours ago): I have the same problem. this Java widget got error in compiling via Matlab 2018! Could you please show me how to solve this? GGa (15 days 9 hours ago): There isn’t anything “outside the UTF-8 range”. UTF-8 can represent any Unicode character, as far as I know.